Racing fans have named a Fort Kent, Maine native as the 2016 NASCAR K&N Pro Series East Most Popular Driver. 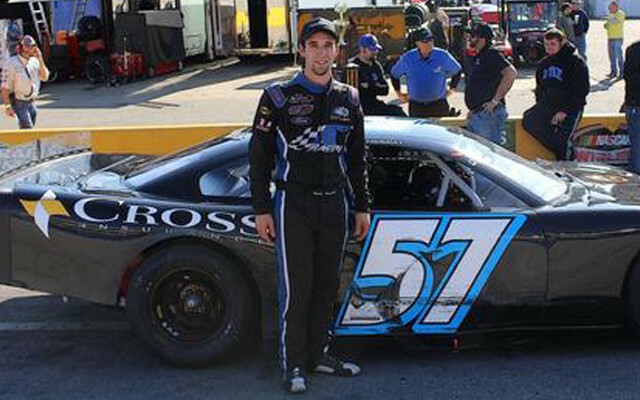 KENLY, North Carolina — Austin Theriault returned to his roots, starting the 2016 Accent Imaging Super Late Model 125-lap race as part of the final day of the Thanksgiving Classic at Southern National Motorsports Park in Kenly, North Carolina on Sunday, Nov. 27. Theriault may have placed second in the race, but racing fans have named the Fort Kent, Maine native as the 2016 NASCAR K&N Pro Series East Most Popular Driver. The 22-year-old Theriault chose this race in part because he will not be racing the Snowball Derby the following weekend. An area of low pressure in southern Québec this morning will slide into the Gulf of Maine this afternoon and move into Nova Scotia tonight.